Download "Partnership. 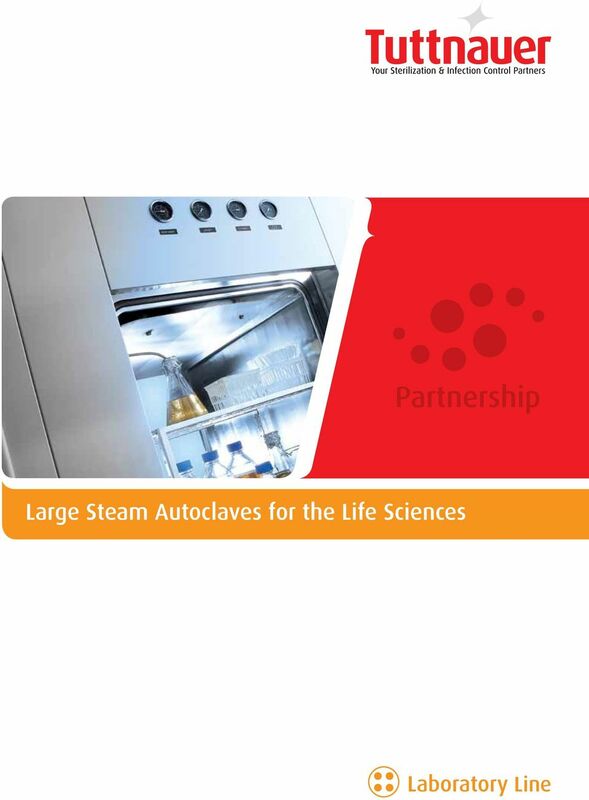 Large Steam Autoclaves for the Life Sciences. 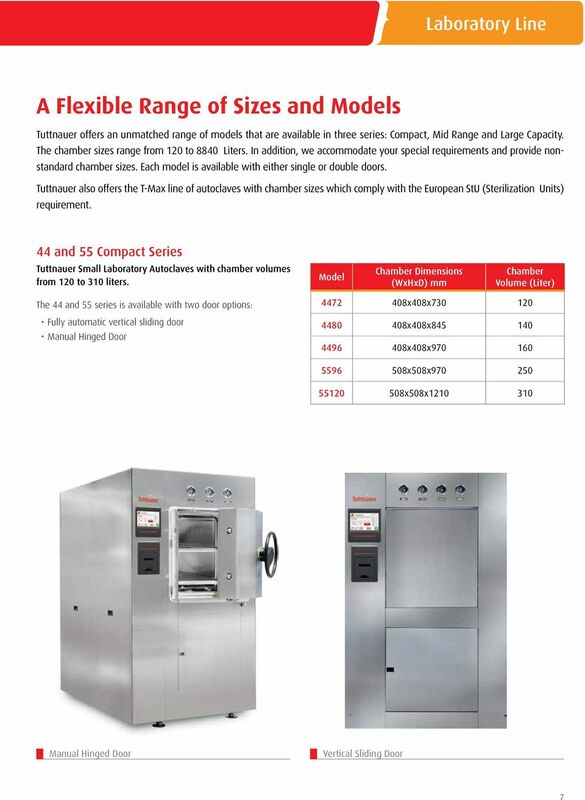 Laboratory Line"
Systec Laboratory Autoclaves Systec H-Series. 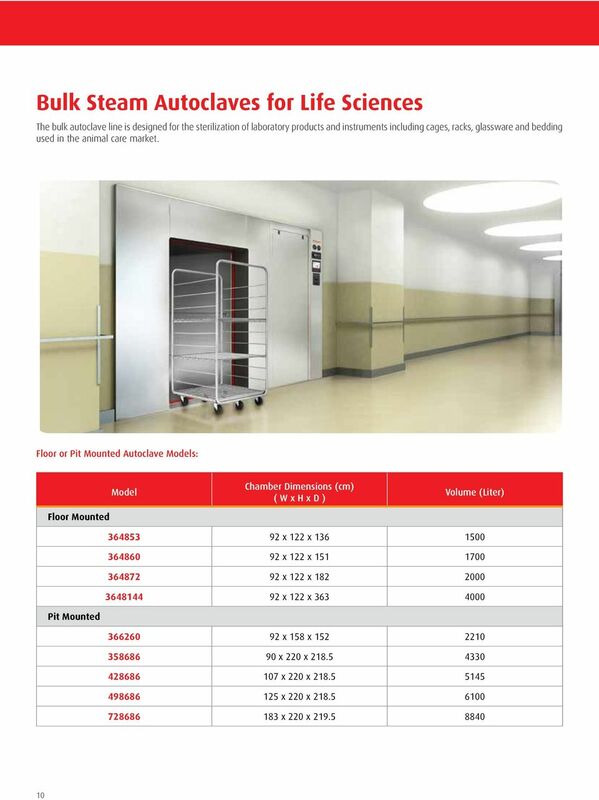 Horizontal floor-standing autoclaves. 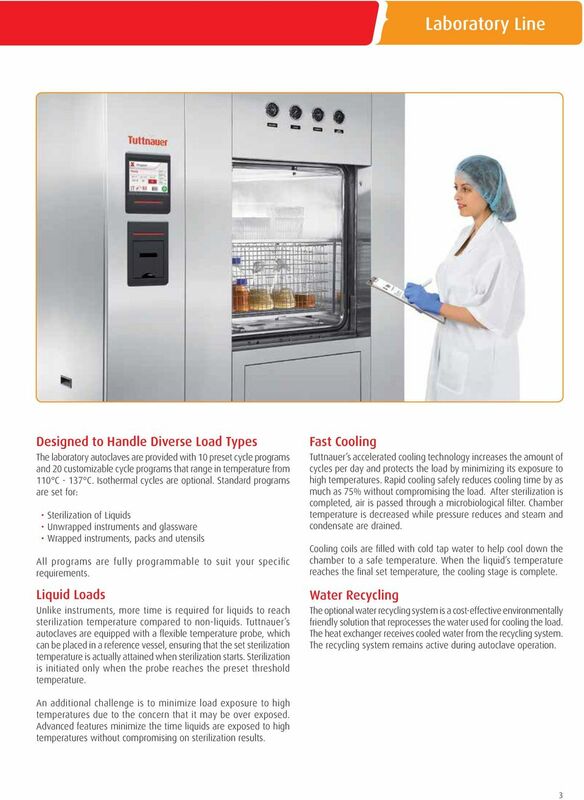 Systec H-Series 2D. 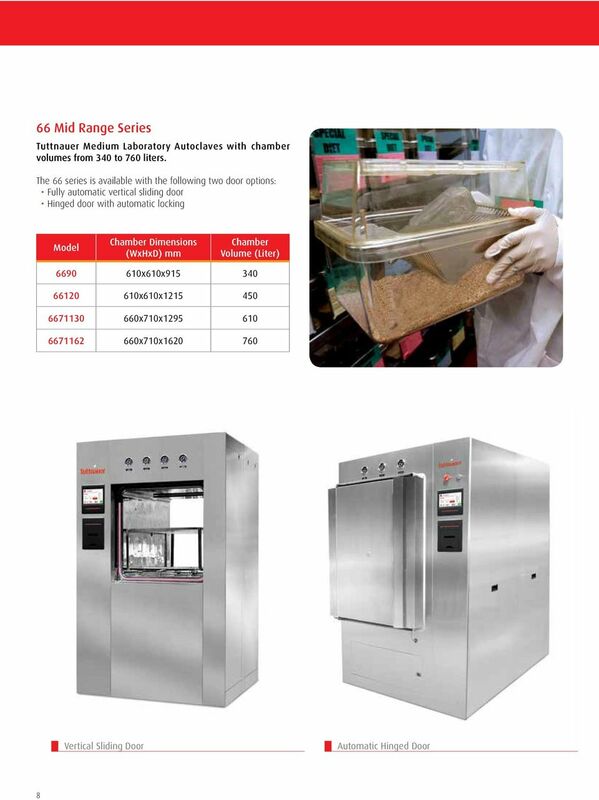 Pass-through autoclaves. 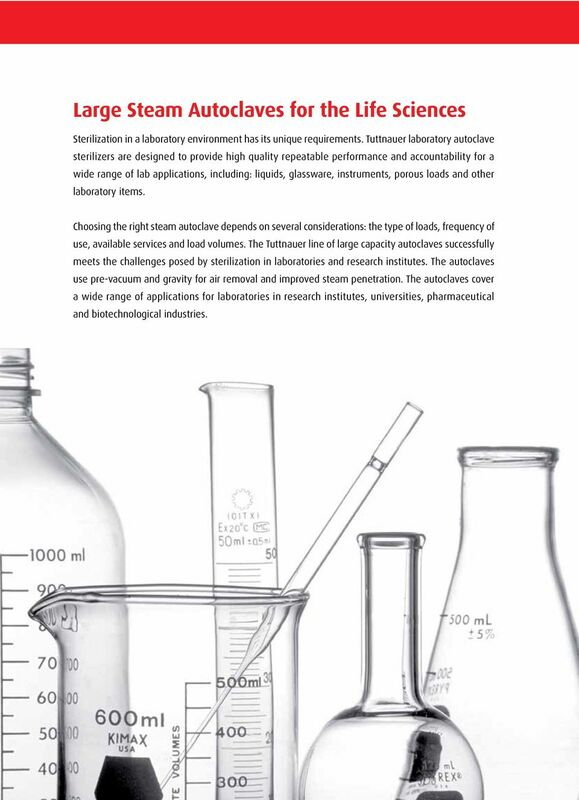 SINCE 1984 YOUR COMPETENT MANUFACTURER OF AUTO- CLAVES AND FREEZE DRYERS FOR LABORATORY, MEDICAL, PHARMACEUTICAL AND INDUSTRIAL APPLICATIONS. MELA quick 12+ Compact. Fast. Strong. 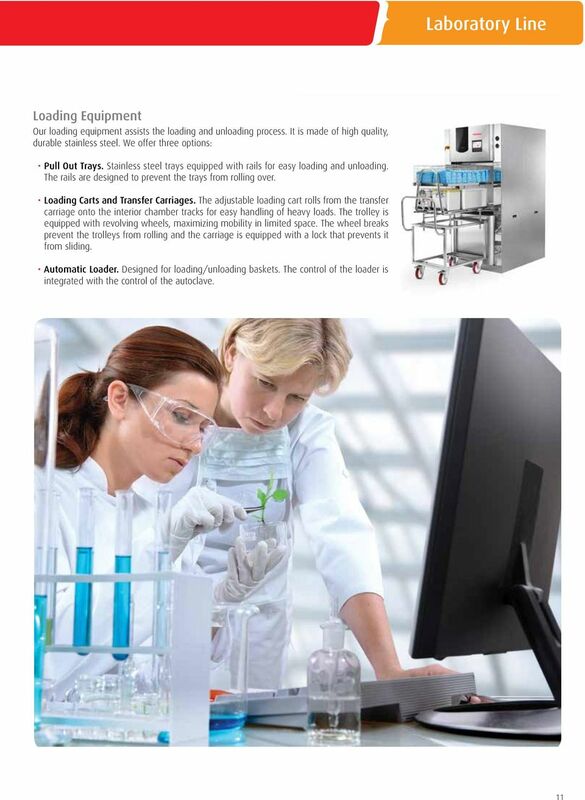 GETINGE CLEAN MANAGEMENT SYSTEM 2 Getinge Clean Management System GETINGE CLEAN MANAGEMENT SYSTEM (CMS) AN IMPROVED PROCESS, A UNIQUE SOLUTION Getinge can help you manage your detergents and reduce costs. 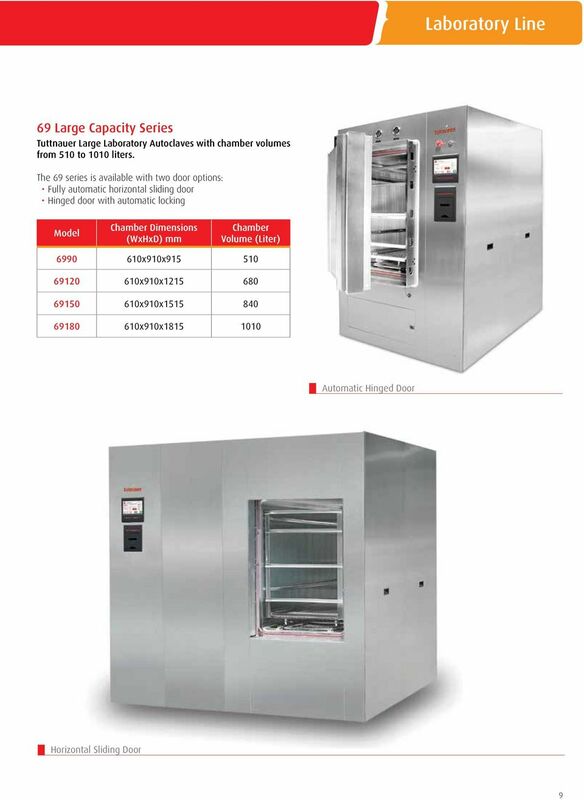 Formomat PL Reliable and economical. 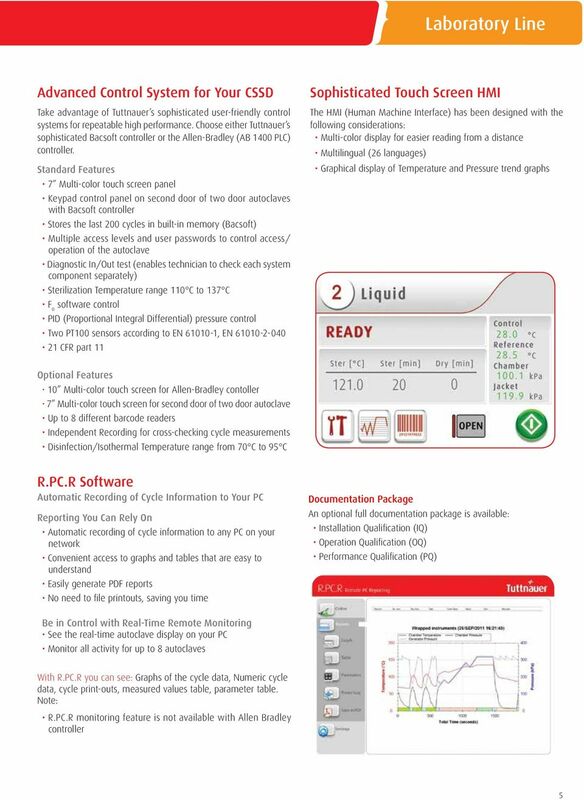 Formomat PL Reliable and economical. 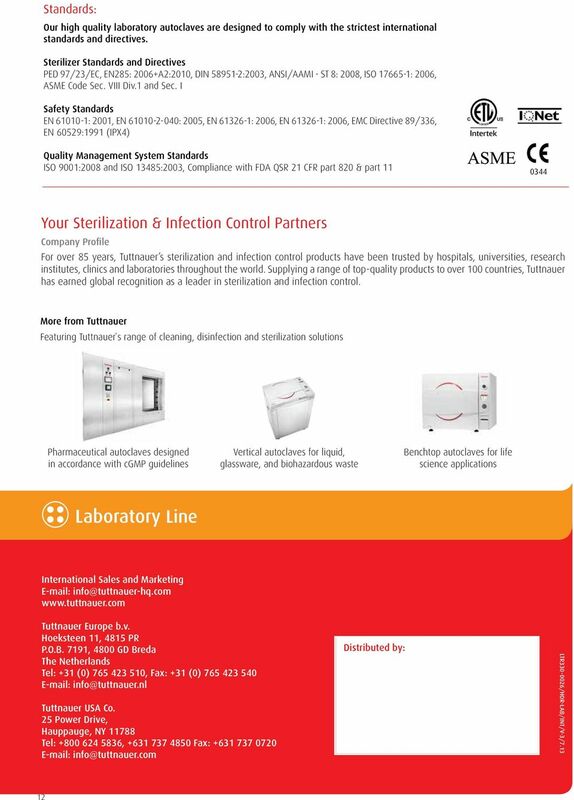 LTSF sterilization at 55 C, 60 C and 75 C Reproducible and validatable sterilization cycles. 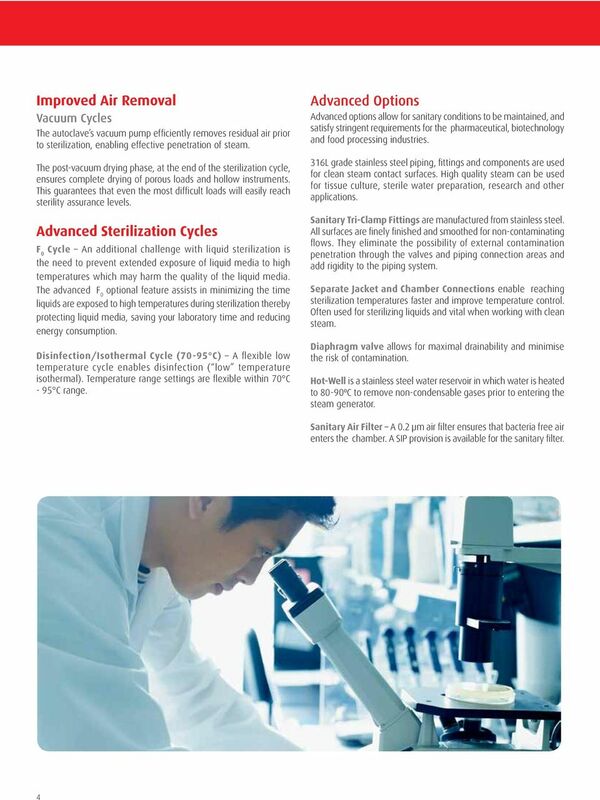 Perfect sterilization of temperature sensitive items even with long lumens. 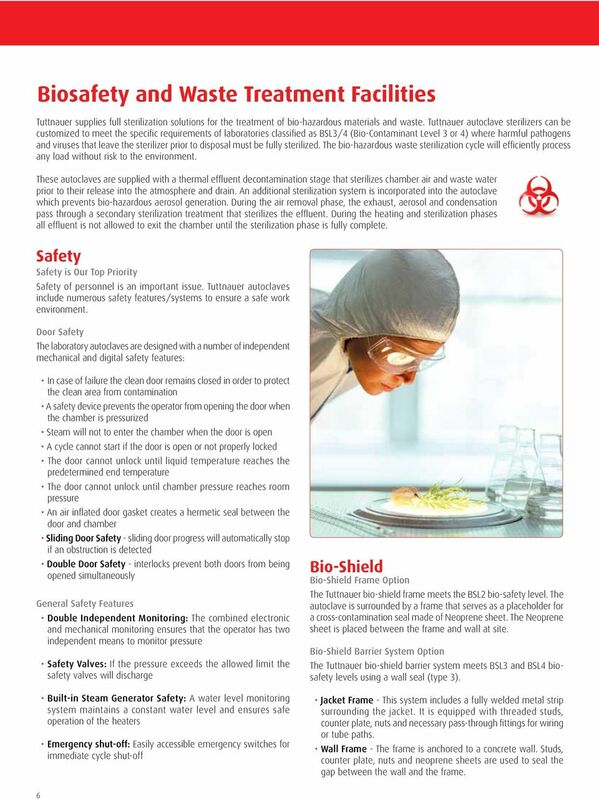 Leading Safety Standards Superior Ease of Use Reduced Cost of Ownership Heidolph Tuttnauer sterilizers for all your applications Safe benchtop steam sterilization Greater awareness of potential hazards.